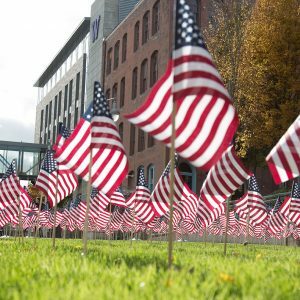 Join the University of Washington as we host our annual Veterans Appreciation programs. Veterans Appreciation is a cross-campus collaboration of units who work with and serve veterans across all three campuses of the university. Nov. 1st | 12:30 - 1:30 p.m. 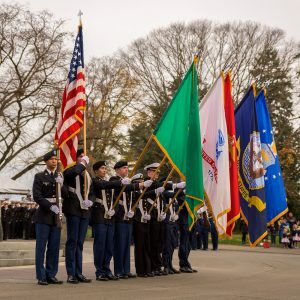 Kick off Veterans Appreciation with this flag laying honoring veteran and military connected students, staff, faculty, and alumni of the UW Tacoma. Nov. 2nd | 11:30 a.m. - 1:00 p.m. Annual workshop for staff and faculty to learn strategies for better serving student veterans on campus. 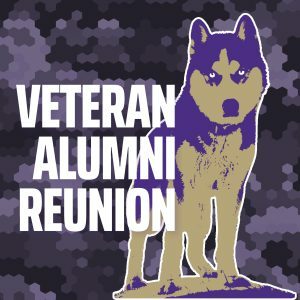 Nov. 2nd | 7:00 - 10:00 p.m.
Join SVL and UWAA as we connect current student veterans with Husky alumni veterans. Come see old friends and make new ones! 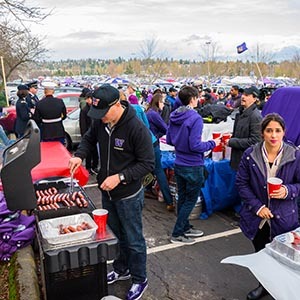 Student Veteran Life hosts the 3rd annual Salute to Service tailgate. 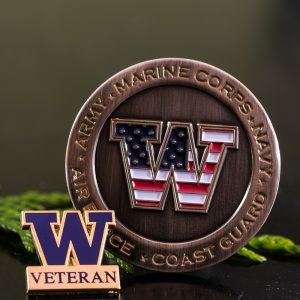 Open to UW students, staff, faculty, and alumni veterans. 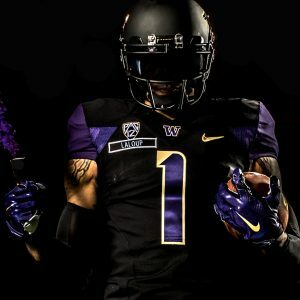 UW takes on Stanford as the Huskies host the 2018 annual Salute to Service football game. 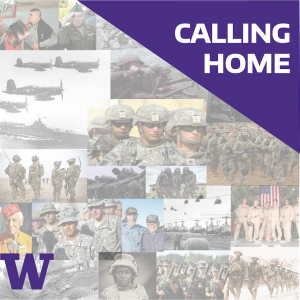 Nov. 6th | 6:00 p.m.
Join Student Veteran Life and wǝɫǝbʔaltxʷ for the 4th annual Calling Home ceremony. This ceremony replicates American Indian and Alaska Native traditions of calling home the spirit of our warriors. 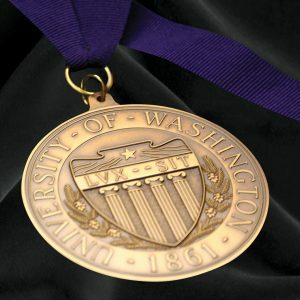 Nov. 8th | 5:00 - 6:00 p.m.
UWT hosts an evening with 2018 DAVA recipient, Patti Taylor. Celebrate the journey that's taken her around the world and back. Nov. 8th | 6:00 - 8:00 p.m. Gather together with our students, staff, faculty, alumni veterans, and family and friends on the Thursday before the Veterans Day Holiday. 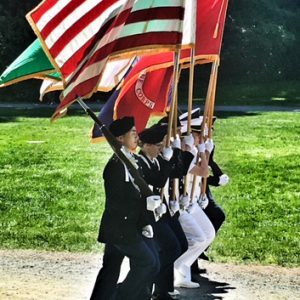 Join UWB Chancellor and Navy veteran, Wolf Yeigh, for this annual celebration of the service of UWB students, staff, faculty and alumni veterans. Nov. 9th | 6:00 - 11:00 p.m. 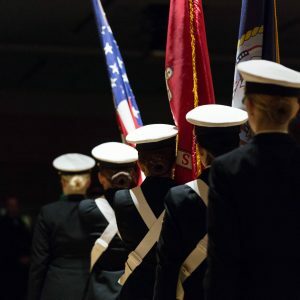 Celebrate the 2434d birthday of the U.S. Navy and Marine Corps with military traditions and a speech from Major General Wise. 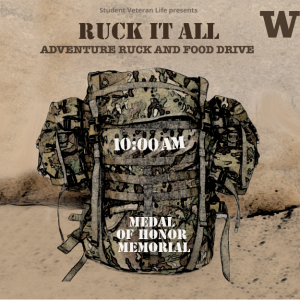 Nov. 10th | 10 a.m.
Are you up for the challenge? No matter if you've served or not, this march is open to ALL. Fill your pack with food to donate. Nov. 11th | 9:00 - 10:30 a.m. The UW Reserve Officers' Training Corps invite you to Clark Hall. Stop by before the Veteran's Day Ceremony as we celebrate our military veterans. Nov. 11th | 11:00 a.m. 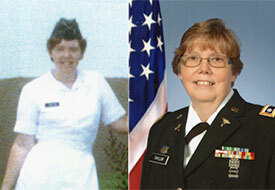 Honoring the men and women throughout our region for their dedication and service in our U.S. Armed Forces. 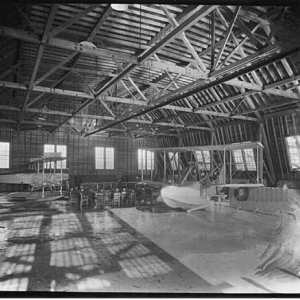 Come down to the ASUW Shell House for a special open house and exhibit about campus during the Great Wars inside the historic WWI hangar, turned boathouse – food trucks on site! 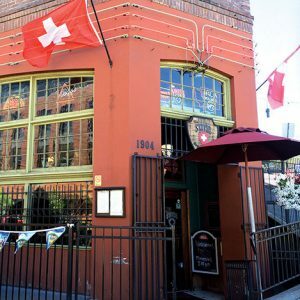 After viewing, catch a FREE ride to MOHAI to view the ‘WWI America’ exhibit. 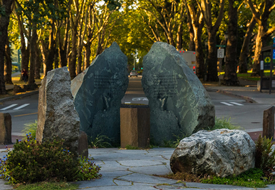 Across campus, memorials for those who have served and been killed in action who were members of the military community. 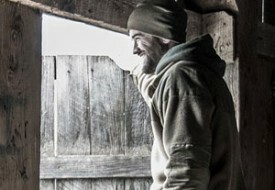 In the name of holistic mental health, Christopher Brown, '16, created Growing Veterans, an organization that reconnects veterans to each other - and to life. 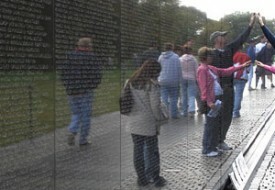 The Vietnam Memorial, designed by alum Maya Lin, is many things to many people. 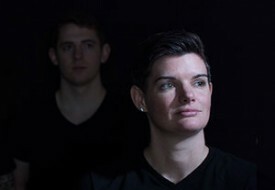 Graduate student and veteran Lindsay Zike wanted to help others make the transition from sailor to student. The Office of Student Veteran Life is doing just that. 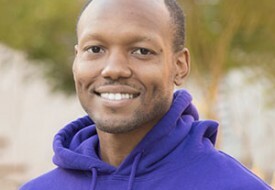 An Army veteran, Detrek Jones wants to use his experience to help others. 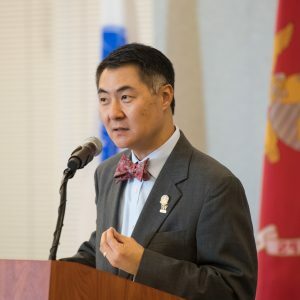 English Professor Shawn Wong leads storytelling workshops for soldiers transitioning to civilian life, through the Red Badge Project. 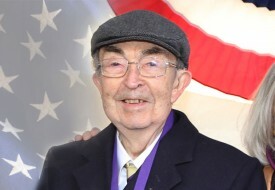 When he retired in 1985, the Pearl Harbor veteran found a new calling. 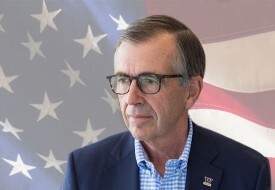 Iraq veteran, General, Army Vice Chief of Staff, and champion of wounded heroes. 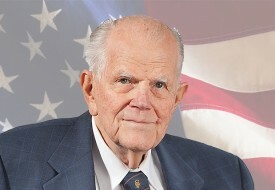 In 1946, Richard H. Layton, M.D. 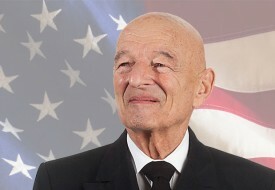 '54, '58 was a Second Class Petty Officer headed to Bikin Atoll in the Marshall Islands on a top-secret mission. 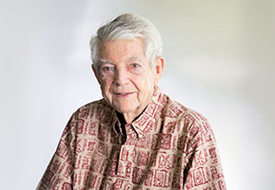 For Charles Matthaei, as for many in what Tom Brokaw termed "the greatest generation," the bombing of Pearl Harbor was a life-changing experience. 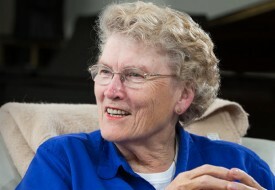 In addition to his naval service, public service and philanthropy are at the core of Bridge's life. 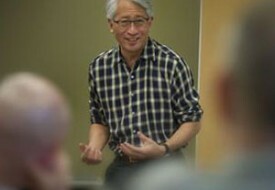 He founded the Seattle Housing Resources Group that builds low-cost housing.